Get ready for a day of fun in the sun! There’s no better way to enjoy the magnificent weather of Miami than out on the water with the wind in your hair, windsurfing. Get ready for a day of fun in the sun! 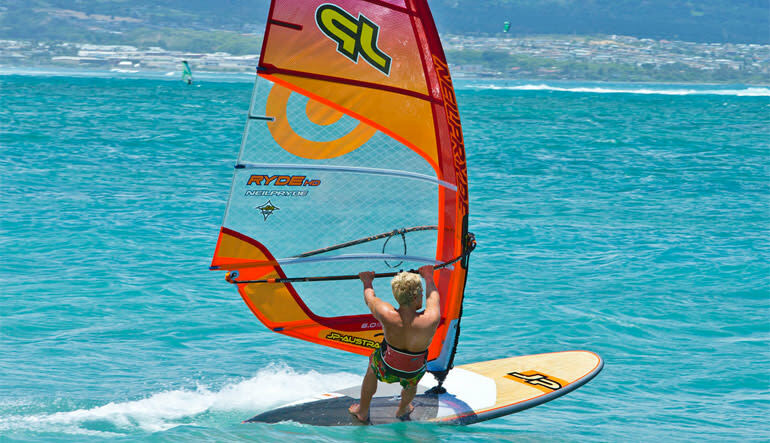 There’s no better way to enjoy the magnificent weather of south Florida than out on the water with the wind in your hair and windsurfing is the perfect way to do just that. Just off the coast of Miami lies Biscayne Bay, an enclave of miles of tranquil waters sheltered by Key Biscayne. 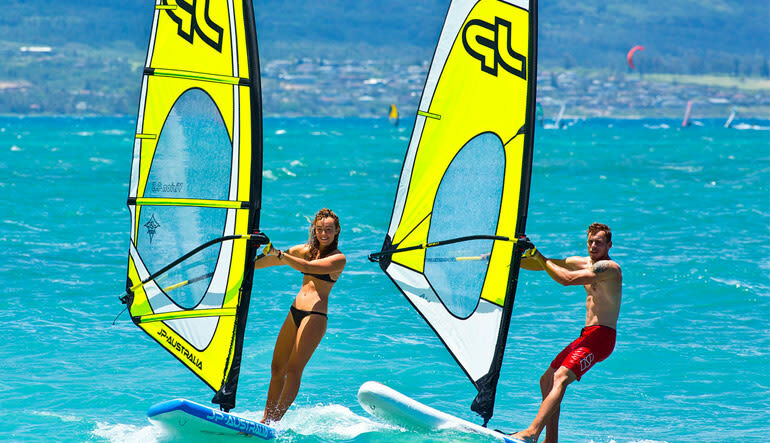 This makes the Bay the perfect place for windsurfing, with miles of open but shallow water to cater to beginners and pros alike. After meeting your professional instructor on the sands of Hobie Beach, you’ll receive a brief instruction on safety and technique then make your way out into the Bay. From these waist-high waters, you’ll mount up and catch the strong winds blowing in from the Atlantic. Now it’s time for a true adventure, letting the wind take where it may as you swiftly skim across the glittering waves!